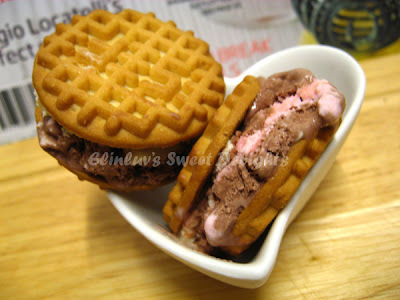 Once in a while I have this craving for ice cream sandwich :) This is what I will do to control my ice cream intake. Sandwich a spoonful of ice cream between two pieces of biscuits and in totally, I had 3 spoonful of my favorite ice cream .... ice cream sandwiches make great after dinner dessert. This is a dainty and delicate finger licking good dessert. 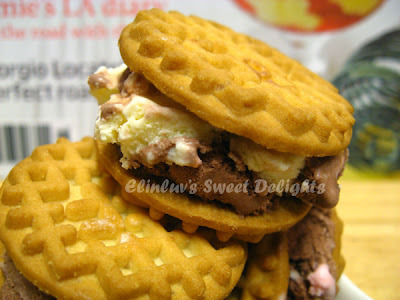 Every bites has to be fast or you will have the ice cream dripping down your fingers. I will prepare them earlier and leave them in the freezer until time to eat them :) I love indulging in this finger licking good ice cream sandwiches....reminds me of my childhood days whereby the ice cream is sandwiched between bread bun. My mother used to make ice cream the old fashion method...over a bucket of ice cubes and some salt and keep stirring them until they turned creamy...making ice cream the old fashion way is really hard work , compared to now, we are lucky to have ice cream maker and electric hand mixer. 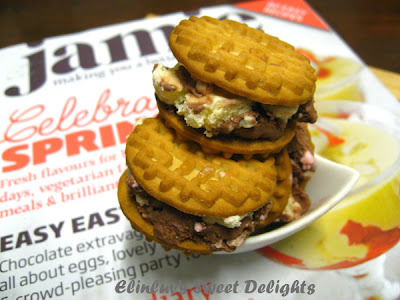 Eating ice cream sandwiches and reading a magazine or watching a movie , it really helps destress me and I really look forward to more of this sinful indulgence :) I make this very often with different biscuits and easy work for me. I just have to assemble them for the Piggies and no washing needed :p Okay....this is lazy Momsie's dessert for her Piggies...but who cares as long as it is finger licking good....slurrp ! 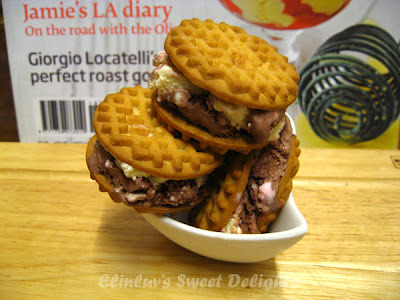 this is just a sneak peek into one of the sinful indulgences of Momsie Elin LOL! so now you know why Momsie Elin is growing sideways! 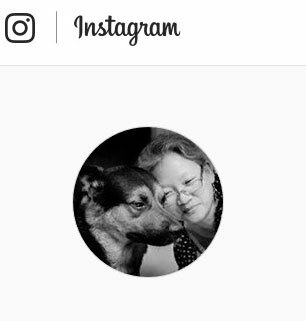 I love your photos. 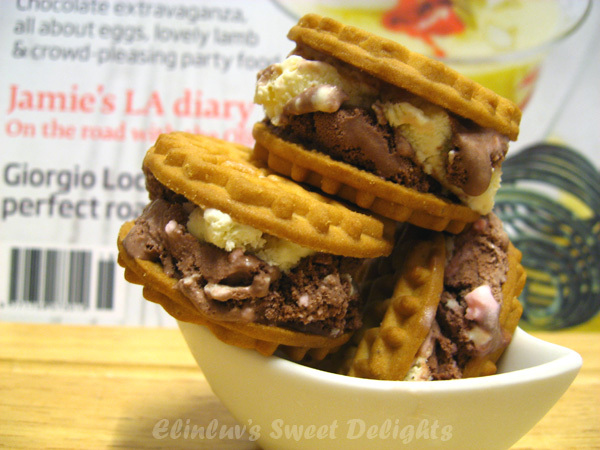 Your ice cream sandwiches are tipsy and look so coute.